Burst is a new Premium e-liquid flavour which we expect to become very popular indeed. It is a light and refreshing vaping liquid that combines fruity flavours and minty aromas. 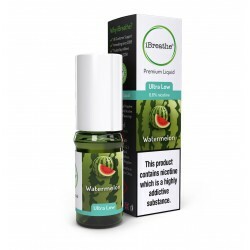 It is available in several nicotine strengths as well, so it will appeal to a wide range of vapers. Burst has been designed from the ground up to provide the perfect smoking-sensation. Its 70PG / 30VG ratio makes for an easy inhalation and a good throat hit, and perfect vapour production.